Collection Spotlight: William Hogarth will be on view at the LSU Museum of Art March 8 through June 17, 2018. William Hogarth (1697–1764), whose painting A Lady (c. 1740) is featured in the portrait gallery of Art in Louisiana, is best known for his widely published prints. 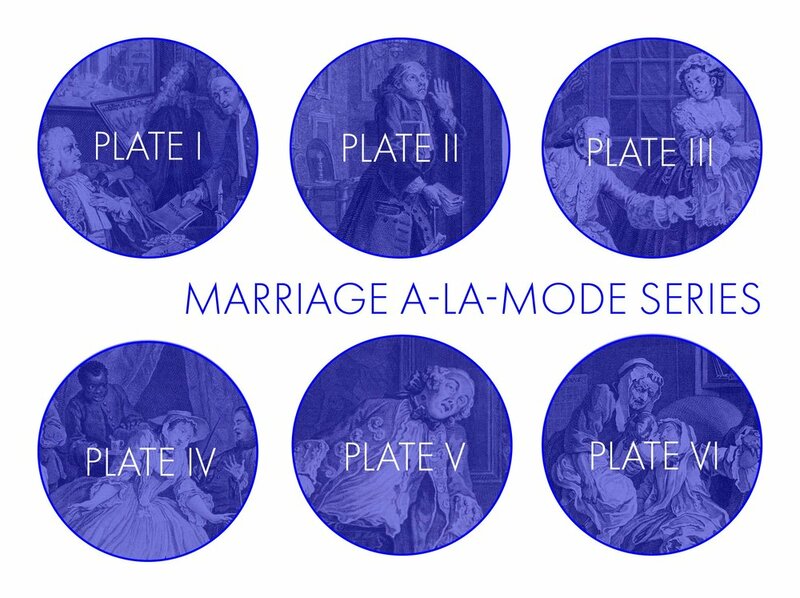 LSU MOA’s Collection Spotlight on William Hogarth will feature prints from some of Hogarth’s most popular series, The Harlot’s Progress (1732), The Rake’s Progress (1733) and Marriage à la Mode (1745). Selected from the 130 Hogarth prints held in LSU MOA’s permanent collection, these satirical and moralizing prints will be on display to coincide with the exhibition of Robert Williams’ “lowbrow” oil paintings. 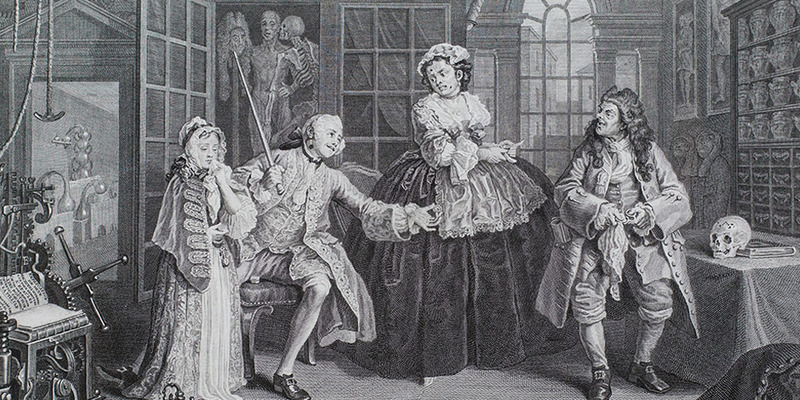 Hogarth was perhaps the first English “lowbrow” artist; through his “modern moral subjects,” print series, which originated with The Harlot’s Progress, Hogarth portrayed everyday people with empathy in a way that had never been done before. Bawdy, but filled with references to art history and real people and places, Hogarth’s works have depths of social critique that were lost even on contemporary collectors of his work. Working in the age of enlightenment, Hogarth’s work challenged ideas of progress associated with civilization, commerce, and colonization. Collection Spotlight: William Hogarth is made possible with generous support from Annual Exhibition Fund donors: The Imo N. Brown Memorial Fund in memory of Heidel Brown and Mary Ann Brown; Louisiana CAT; Charles Schwing; Alma Lee, H.N. and Cary Saurage Fund; Newton B. Thomas Family/Newtron Group; LSU College of Art & Design; and Susanna Atkins McCarthy. On June 6, curator Courtney Taylor will give you the opportunity to get a closer look at some of William Hogarth pieces not on display while discussing the life and times of the artist and inspiration for his paintings and satirical prints.